Adaptations of Stephen King’s novels are something of a minefield in terms of cinematic quality. Modern classics like The Shining and Misery rub shoulders with low quality, underdeveloped trash, like Thinner and Maximum Overdrive. However, among this eclectic collection, John Carpenter’s adaptation of Christine is perhaps the most overlooked and underappreciated. Indeed, personally, I find it to be the King adaptation I return to again and again. Based on King’s horror novel of the same year, Christine follows troubled geek Arnie Cunningham, who is dominated both at home and school. One day, on the way home from another humiliation, he is drawn to a damaged, rusting 1958 Plymouth Fury, Christine. It’s love at first sight and he buys the car, despite the reservations of his best friend, and the ominous warnings of the man who inherited it. Arnie begins to restore the car immediately, and as Christine changes, he also begins to change, becoming more aggressive and obsessive about Christine and dislocated from his family and friends. As the concerns grow, those who have bullied Arnie in the past begin to die in strange automobile related deaths…and it appears Christine might be more than just an old car. What makes so Christine such an engrossing experience is that it is an entertaining horror film, but more importantly, it is a twisted love story about a lonely man and the devotion he has for his car…and it’s reciprocation of those feelings. King’s dark play on the relationship between men and their feminized cars combines perfectly with Carpenter’s nihilistic tone and formal craft to create a film that is both visually and thematically rich. Unquestionably, Carpenter is one of the great horror directors, with his ability to use screen space and affective music to manipulate the audience unparalleled. These skills are on full display in Christine from the very first scene, where Carpenter takes us to the birth of Christine on the assembly line in Detroit. Her construction is fetishised with extended tracking shots and close ups, the camera running over the details, textures and curves of her body, as George Thorogood’s ‘Bad to the Bone’ blares out foreshadowing her destructive nature. 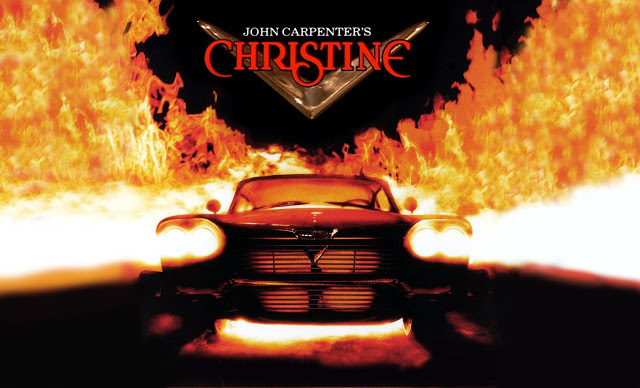 It is a credit to Carpenter’s directorial ability that he is able to make Christine into a character in her own right; imbued with personality, sexuality and most of all, the sinister edge waiting to be unleashed that constantly keeps the audience in suspense waiting for the engine to roar into life. Few directors could make such a ridiculous concept work so effectively. The film’s stand out performance (from a real human being) comes from Keith Gordon, playing the tormented and increasingly unstable Arnie. He imbues the character with a tragic sensibility, and a fragility that makes him both sympathetic and potentially dangerous. Indeed, as Arnie is transformed through his symbiotic relationship with Christine, this threat is only magnified and it is a credit to Gordon that he is able to capture the many dimensions of this unfortunate soul. Carpenter’s films often see characters faced with threats beyond all comprehension, and that are sublime in their nature (the unstoppable and inhuman Michael Myers of Halloween, the shape-shifting alien of The Thing, the formless omnipresent Satan of The Prince of Darkness), and through these conflicts, Carpenter is able to explore not just the horror and spectacle of the threat, but also reveal deeper truths about the human condition; most importantly, our relationships with one another (most nihilistically and exquisitely formed in his masterpiece, The Thing). With this narrative’s central threat an evil sentient car, a terrifying force beyond explanation, Christine is (if you excuse the pun) the perfect vehicle for John Carpenter’s distinctive cinematic vision. This is encapsulated within one particular sequence, singular in its articulation of the relationship between Arnie and Christine; the moment the audience sees Christine’s restorative powers in action for the first time. After Christine is wrecked, symbolically molested, by a gang of school bullies, Arnie is left bereft at the act of emasculation and destruction. He tenderly promises Christine he will make her better so they can show them what they can do, as he caresses the roof of the car. He turns away, but the sounds of metal crunching and moving draw him back, revealing the engine has transformed into pristine condition. Carpenter cuts to a long shot as Arnie walks round, standing in front of the car at a distance. The camera then cuts to a medium shot of Arnie that slowly tracks into his face, before he softly says to Christine, ‘show me.’ The combination of the camerawork and Gordon’s performance make this statement perversely suggestive, as if he were asking her to reveal herself to him sexually, reinforced by the previous act of caressing her. Suddenly, Christine’s headlights flash and her body begins to transform, moving and shifting, slowly and fluidly, until the damage is gone and she is left in perfect condition once again. 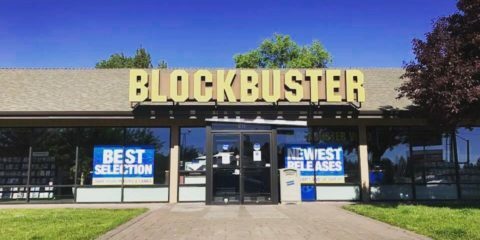 The spectacle of this moment is stunning, presented before the audience’s very eyes, as impressive as the transformation in An American Werewolf in London. However, it is the implied sexual connotations that make this sequence both disturbing and fascinating; shot like a strip tease, Christine performs for Arnie, and he takes pleasure in the movement of her body. This is Arnie’s sexual awakening, and through it Carpenter establishes both the perverse danger of Christine’s manipulation of Arnie, but also the universal confusion and fear within the emergence of teenage sexual desire. More than 30 years after its release, Christine deserves re-appreciation. It is crafted delicately in the classical style, inspired by the formalism of 1950’s genre cinema, but, crucially, it dynamically explores themes about modern teenage sexuality, identity and frustration. Carpenter masterfully crafts both an engrossing thrill ride, and an intense study into a bizarre and destructive relationship.